Hello all, it is a reminder post for the current Uniko Challenge, which is Christmas. I started with my background first, I used twisted citron to create the smooshed background. 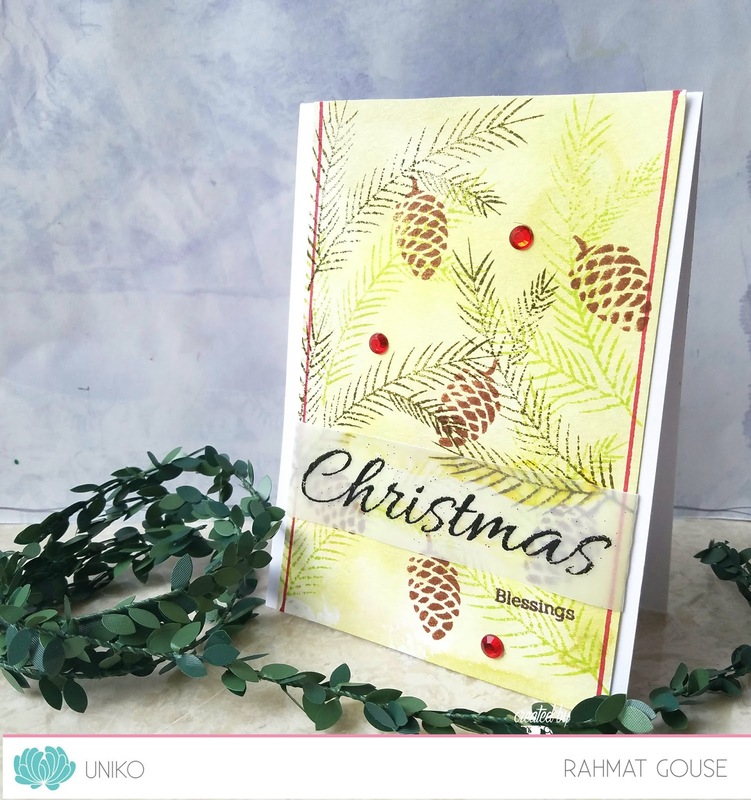 Then I used the Winter Foliage set here for this card, I stamped the pine leaves in 2 shades of green. and used brown ink for the cones. Lined my panel with a red base to give a framed look, and few big red rhine stones. The sentiment is from another set, it is heat embossed in black on vellum, I stamped the other part on the card. Added it to a white base to finish off. Do join us here, and see more from our DT on the challenge blog. What an absolutely gorgeous card! Love the shades of green and the beautiful pine cones!